Reclaim confidence in your figure. For many women, recapturing a youthful figure through breast augmentation can be the change they need to once again feel confident in their bodies. Our surgeons use the latest techniques and breast implants available to produce beautiful, natural and youthful breast appearances. Our office in Corpus Christi will work with you to discover your specific enhancement goals in order to recommend an appropriate size and shape for the procedure. The location of the incision is also determined after the discussion and examination. Since we offer silicone, saline and the new gummy bear breast implants, special care will be taken to ensure you are getting the aesthetic and shape you desire. There are three common incision sites surgeons use for breast augmentation: the periareolar incision (areola), the transaxillary incision (in the armpit), and the most popular option, the inframammary incision (the natural crease under the breast that hides the scarring.) The incision technique chosen will vary depending on the breast implant type, the size of the enlargement, each woman’s particular anatomy and the preference of the surgeon and patient. You have two options when it comes to selecting the type of breast implant you would like to use for your augmentation: silicone or saline. Most patients choose silicone breast implants, which are filled with silicone gel. The gel has the feel and movement similar to natural breast tissue. If a silicone breast implant develops a leak, the gel may escape into the area of tissue in which the breast implant was placed. A leaking breast implant filled with silicone gel will not collapse. Saline breast implants can be chosen as well and are filled with sterile saltwater. The amount of saline in the breast implant can vary, affecting the feel, firmness and actual shape of the breast. Saline is harmless to the patient, and in the case of a leak, the saline will be absorbed naturally by the body. It may seem like an unnecessary addition to your breast augmentation cost, but a warranty will add value to your breast augmentation surgery because it will protect you from added costs in the future. Some warranties are free with the purchase of the breast implants. Each surgeon has different policies regarding warranties, so be sure to discuss it during your consultation. For patients who are not able to pay for cosmetic procedures up front, there are patient financing options available. Financing offers patients the option to cut down the initial breast augmentation cost by allowing you to make payments that fit your budget. Some surgeons may offer financing options through an outside source associated with their practice, or you may be encouraged to find your own financing through a different provider. Medications are administered for your comfort during breast augmentation surgery. The choices include intravenous sedation and general anesthesia. Your physician will recommend the best choice for you. Dr. Bindingnavele also injects a nerve blocking agent during the initial stages of surgery. This significantly decreases the pain of recovery for about two to three days. Incisions are made in inconspicuous areas to minimize visible scarring. 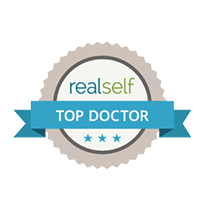 You and your plastic surgeon will discuss which incision options are appropriate for your desired outcome. The incision will be made on one of the three options mentioned above. Breast size and shape are important, so be honest and open about your expectations when talking with your surgeon. Breast implant type and size will be determined not just based on your desired increase in size but more importantly on your breast anatomy, skin elasticity and body type. After the incision is made, a breast implant is inserted into a pocket either under the pectoral muscle (a submuscular placement) or directly behind the breast tissue and over the pectoral muscle (a submammary/subglandular placement). Incisions are closed with layered sutures in the breast tissue and with sutures, skin adhesive, or surgical tape to close the skin. Over time, the incision lines will fade. Your expectations and desired results for the breast augmentation will be addressed during your initial consultation. At this time, your physician will discuss desired shape, size, incision site and type of breast implant that will be used. You will also need to provide your complete medical history, family history of breast cancer (including results of previous mammograms and any biopsies) and current medical conditions and medications. Dr. Bindingnavele, who has over 13 years of experience, will provide information about each type of procedure and help you decide which method will achieve your most desired results. Different techniques are used by different surgeons in performing breast augmentation. The best procedure is chosen based on each individual patient and their preferences and needs. It is normal to experience some pain, swelling and bruising immediately after breast augmentation or breast implant surgery. Your general chest and surrounding area may seem tight, and your breathing may feel restricted. This is completely normal, and your symptoms will start to improve gradually over the next few weeks. Hospital personnel will usually have you rest after surgery in a semi-upright position. This will help keep you as comfortable as possible and reduce the risk of swelling. You will be given painkillers if you and your physician feel you need them. Please advise the prescribing physician of any allergies you may have. After you have settled in at home, you should be able to manage pain with over-the-counter medicines like acetaminophen or ibuprofen. If you have a history of stomach, liver, or kidney problems, you should not take ibuprofen. Ibuprofen may not be advised if you have asthma or a history of asthma. Consult your physician regarding the best over-the-counter pain medicine for you. Rest is vital; you will need to give your body time to heal and recover. You only have one chance to heal properly, so following your doctor’s advice is important. Avoid excessive use of your arms and chest area, as it could cause irritation and bleeding. For best results, follow the homecare instructions of your surgeon. He will likely schedule you for postoperative appointments to monitor your recovery progress. Your surgeon will be able to give you specific instructions regarding any activities that should be avoided and for how long, but the general recovery protocol indicates you should take a week or two off work and avoid heavy lifting or strenuous exercise for at least a month. In approximately six weeks, you should be able to return to all of your normal activities, although you should protect the incision sites from direct sunlight for about a year because the skin in these areas is more delicate and susceptible to burns. You may feel more comfortable wearing a well-fitting sports bra 24 hours a day for up to three months after breast surgery. It is important to follow the specific instructions given to you by Dr. and his staff regarding scar care, as this will drastically benefit the appearance of any the wounds once healed. If you’re contemplating breast augmentation surgery, you will want to consider the total cost of the procedure. The average surgeon’s fee for breast augmentation surgery is usually less than $4,000. But it is important to remember the surgeon’s fees do not include other charges associated with breast augmentation surgery. Additional fees to factor in are surgery center or hospital charges, anesthesia, other medical tests associated with surgery and prescriptions. How will this procedure affect my ability to have effective mammograms? Regardless of your age, your surgeon may request a pre-operative mammogram to establish images of your breasts and to determine any abnormalities that may be present. This will be important information to have in your medical records when you begin having regular mammograms. If this is your first mammogram, it will be considered your “baseline” mammogram. These “baseline” images will be used as the foundation for comparison in later mammogram screenings. Changes in breast tissue can be very subtle, and radiologists like to have previous breast images to compare with new images when they notice a possible change. You need to consider what is most important to you personally when deciding between silicone and saline. If you want to achieve a natural look and feel, silicone breast implants are filled with a cohesive gel that resembles actual breast tissue. Saline breast implants are filled with a saltwater solution, which closely resembles the fluid that makes up most of the human body. The look and feel of saline is slightly firmer than silicone, but saline breast implants are typically around $1,000 less. Should I consider financing my procedure? Since most cosmetic procedures are not covered by health insurance, it’s import to consider available financing options provided by your surgeon. Financing will reduce the initial breast augmentation cost by allowing you to tailor a payment plan that will fit your budget. Will I be able to go home right after the surgery? Depending on the development of the surgery and immediate recovery, you may be allowed to go home the same day, or your physician may decide to keep you overnight at the hospital or surgery center. You and your physician will determine which is best. Dr. Bindingnavele’s expertise has led him to a revision rate that is lower than five percent, while most literature rates the average at 20 percent. As long as the patient maintains their healthy lifestyle and no rupture occurs, the breast implants will last for life. If any issues do arise—rupture, capsular contracture, etc.—breast revision surgery can be performed to correct those issues.